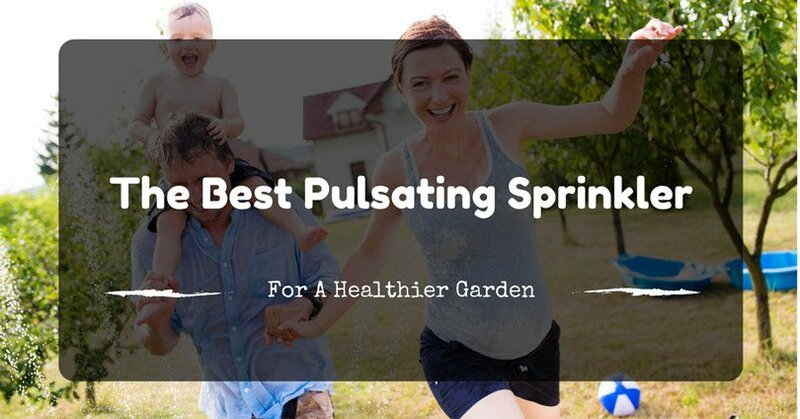 Making sure that you have a healthy and thriving garden or lawn is a given, when you’re a homeowner. This is because they’re the ones that give life and freshness to your home. There are a lot of ways you can do that. But the best one is to supply them with more than enough water. So how can you do that? 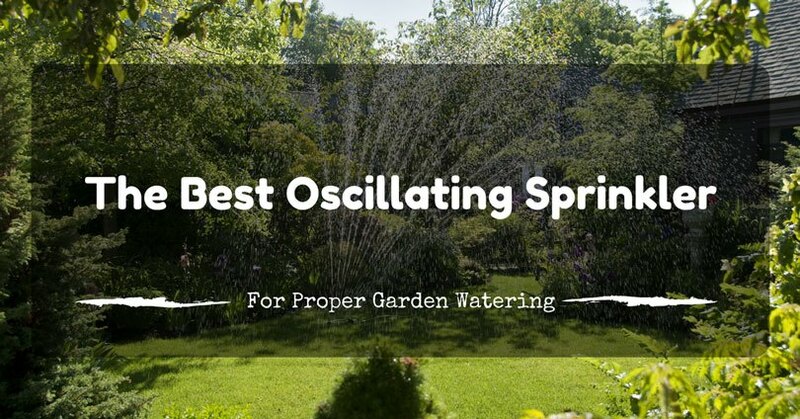 Well, it’s simple because you just have to use a garden sprinkler. But then again, you need to have a sprinkler head for it to be used. That’s what we’re going to talk about it here. In this article, we’ll be showing you the best sprinkler heads that are a perfect fit for your sprinkler. 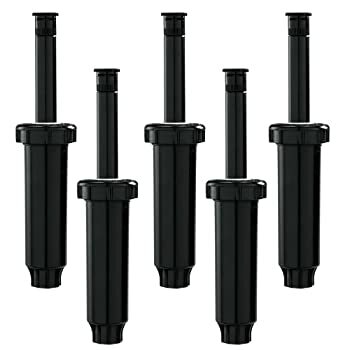 There are different types of sprinkler heads. 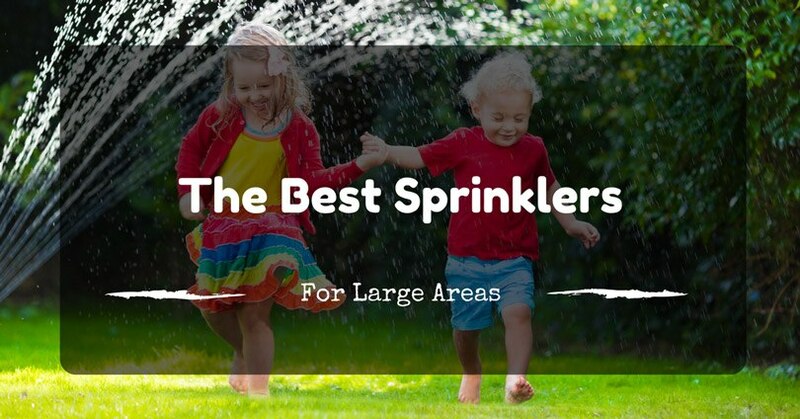 However, one of the most popular types are the rotary sprinklers. These are those that shoot a water stream with the help of its mechanical nozzle. It functions this way thanks to its circular spray pattern. What’s great about this kind of sprinkler head is that it’s fully adjustable. These can spray water up to 40 feet, but the commercial ones can spray up to a whopping 90 feet. It can also deliver a quarter or one-half inch of water every hour when spraying. Then there are the rotary sprinklers. These are further divided into two models, the impact and the gear driven ones. In order for these to function, rotary sprinklers use an arm that’s spring-loaded. This is the one that sprays the spray nozzle to your coverage area. The water stream then comes out of the nozzle while it's striking the metal plate. This, in turn, uses the sprinkler head and makes it easier to diffuse the spray. People who want to have an even coverage around its surroundings need to get this one. Then there are the concealed sprinklers which are usually used in underground irrigation systems. These are also called pop-up sprinkler because they're literally popping up the ground. It has a head that's spring-driven. This is the one which extends the spray nozzle on the grass' surface which in turn irrigates your lawn. You have three pattern choices to choose from. These are the full circle, half circle, or quarter circle. When you turn it on, the head then pops up. When you turn it off, the sprinkler head gets back to the ground again, leaving no imprint that it’s actually there. These can supply one to two and a half inches of water on its coverage area per hour. Spot irrigation or micro-irrigation sprinkler are also called by some as spinners, bubblers, and mini-sprays. These provide direct water supply to a specific plant, making this the perfect choice for landscaped gardens. If you have one, you need to install it near the plant's base. It should also have a gap of three to five feet so that they won't overlap with each other. So how can you choose the best one? Well, the first thing you need to do is to know what your purpose in getting one is. Brainstorm with yourself and with your other family members what kind of sprinkler head you’re getting to get. Are you going to place it in your garden? Or perhaps on your lawn? You see, each place has its own needs and requirements, which is why you need to make sure that it’s just what you need. Know the purpose so that you can get the best one that’s perfect for you. Durability is a very important thing you need to consider when choosing a sprinkler head or any product in general. This is because it’s where you’ll see if it’s worth buying or not. Durability is also where its service life depends on, which is why it needs to really be good in quality. This might be difficult to do if it’s your first time getting one. But by simply giving a keener eye on the product, touching its surface, and looking at the small details, you’re able to know if it’s durable or not. Usually, the heavier the product is, the more durable it is. Also, know what spray pattern you like. Each sprinkler head has its own spray pattern. Make sure that it suits your own personal preference. It should also be complementary to the size of the area you want to cover. Bigger lawns are better off with sprinkler heads that have a circular spray pattern. If you have a landscaped gardens, you can choose those that have a linear pattern so that the water can go right straight into the plant’s roots. Visual aesthetics is another important aspect you need to instill within you. See to it that the sprinkler head of your choice looks nice. It’s better if it has a sleek and modern feel to it so that your garden or lawn won’t look outdated. 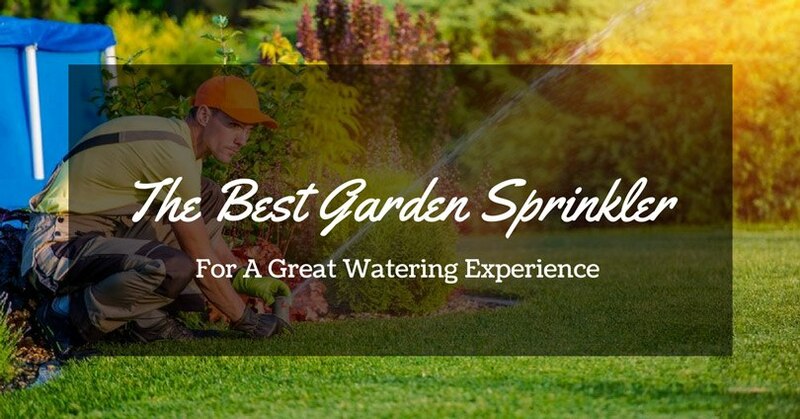 Even though a sprinkler head may seem to be a small part of your garden, it has a big effect on your garden's overall look. Aside from the design, it should also have a color that can complement your garden. Most people choose those that have a green color so that it can blend in with its surroundings. The price of the sprinkler head is another important thing to bear in mind. It’s in knowing the price that you’re able to see if it’s worth buying or not. Now, don’t be deceived if the price is expensive because not all sprinkler heads that are priced high are of high quality. And not all affordable products have bad quality. Sometimes, you just need to weight the features, the materials used, and the overall look and design so that you’ll know if it’s worth buying or not. 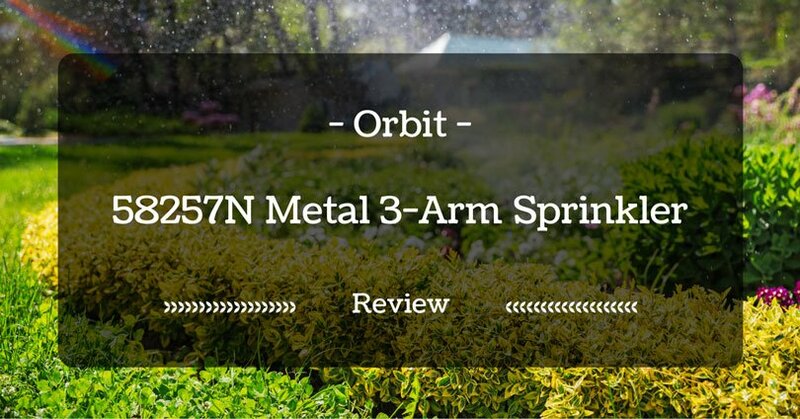 The Orbit Voyager II Sprinkler Spray Head is a pretty good choice for you. It’s because it works very quietly and its gear drive is also highly dependable. It has a standard ¾ inch inlet female thread that works flawlessly wherever you want to install it. The spray can also be adjusted from 20 feet to a maximum of 40 feet radius. And it's also up to you if you want to have a partial circle or full circle spray pattern. Its pop up height is four inches. You don't have any problem wherever you want to install it because it's compatible with almost all major sprinklers. You'll also get eight nozzles and a single adjustment key when you get this one. It boasts its very good construction. Its attention to detail is very evident. It looks good and nice. This will surely add beauty to your lawn. It’s not a fail-proof sprinkler head because there are times when it malfunctions. The Orbit Pop-Up Orbit Sprinkler Head is another one you might want to try. It is a four-inch pop-up lawn sprinkler that's fully adjustable thanks to its spring-loaded design. Its water coverage is not the best one because it's only 15 feet, but this doesn't mean that this one's substandard. This is what you need if you're going to use it in a small garden or lawn. You can adjust this easily to cover 360 degrees, which is just what you need if you want to make the most out of it. Getting this one will give you a pack containing 5 heads. It's up to you if you're going to use them simultaneously, or reserve them as spare. It works just how it should. It’s highly dependable. It’s easy to adjust too, making this a user-friendly sprinkler head. It’s a bit heavy. But this isn’t really much of a problem as long as it’s properly placed or installed on the garden sprinkler. 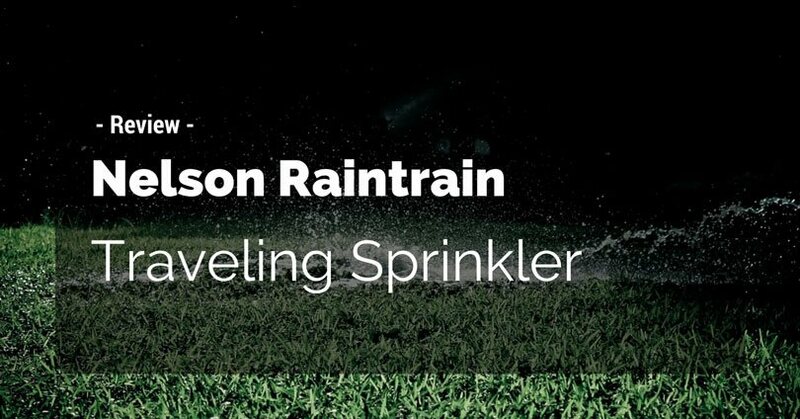 The Rain Bird Rotor Sprinkler Heads measures 4 inches in height. It has a pop-up part-circle rotor that goes perfectly with its ¾ inch inlet. 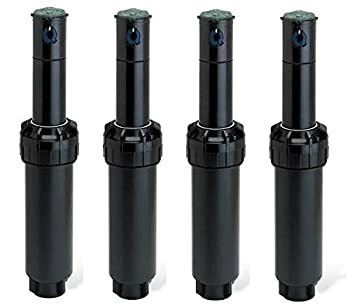 This is one of the most adjustable and flexible sprinkler heads in this list because its arc can be rotated from 40 degrees to a full 360 degrees. It’s just the coverage you need for a sprinkler head that has a sprinkling radius of 25 to 50 feet. This one’s also easy to install because you just need to use s flathead screwdriver to tweak it. Its retractable spring is also heavy duty. And you’ll surely love the 3.0 GPM nozzle that’s pre-installed. This one’s got a pretty good performance. You won’t be short of coverage area with this one. Its water squirts are big, which is just what plants need. You won't have any problem with water shortage because this is a very efficient sprinkler head. It wastes no water. You’ll notice some inadequacies in its design. This gives you the impression that it’s made of not-so-good materials. The water flow is also not the best. There are times when it sprays very few water. 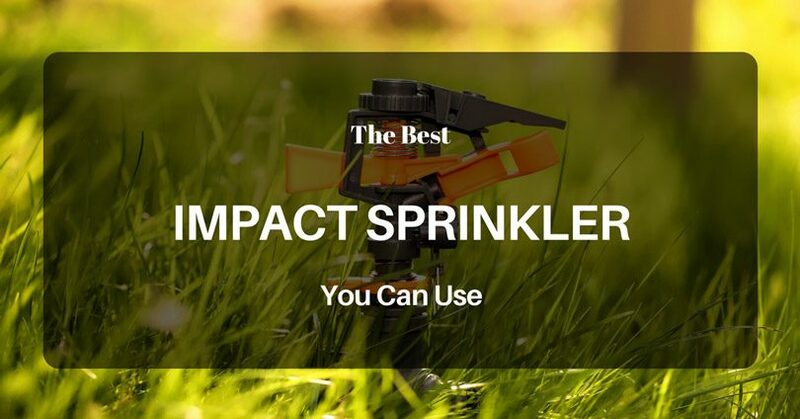 The Orbit Satellite 2 Impact Sprinkler is another one you might want to try. We highly recommend this one because of its adjustable spraying distance. Its two pop-up impact sprinkler gives you full control of your lawn and garden. It has a spraying distance of 25 to 45 feet, which makes this suitable for medium to large-sized gardens or lawns. This is also totally adjustable as you can tweak its spray pattern from 20 degrees to 360 degrees. The heavy-duty canister also makes this a strong and pretty sturdy sprinkler head. And it's compatible with all brands too. This has a very good and strong rotor. 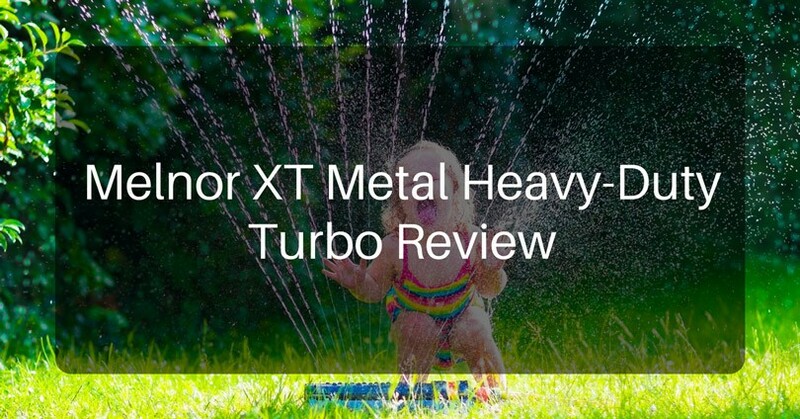 This ensures that it can spray enough water to accommodate your entire garden or lawn. This also has a great coverage because of its strong spraying pattern. It's a bit expensive. There are other brands that are cheaper than this one, but still, have same or similar features and quality. The design is also a bit off. 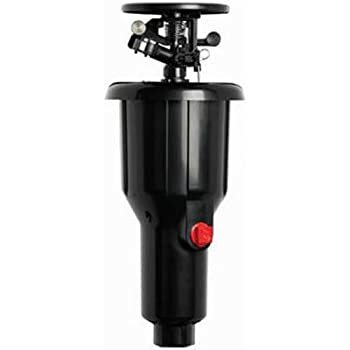 Then there’s the Toro ProStream Rotor Sprinkler System Head, which is another one of our favorites. It has a 25-inch to 46-inch spacing, making it the perfect choice if you have a medium to large-sized lawn. This also has pretty good adjustable pattern flexibility as you can adjust it from 40 degrees to a full 360 degrees. It’s also taller than most standard sprinkler heads because of its 5-inch height. This gives you the assurance that it’ll cover an entire area. The female inlet is also ¾ inch in size. This makes it work smoothly with gear-driven motors. 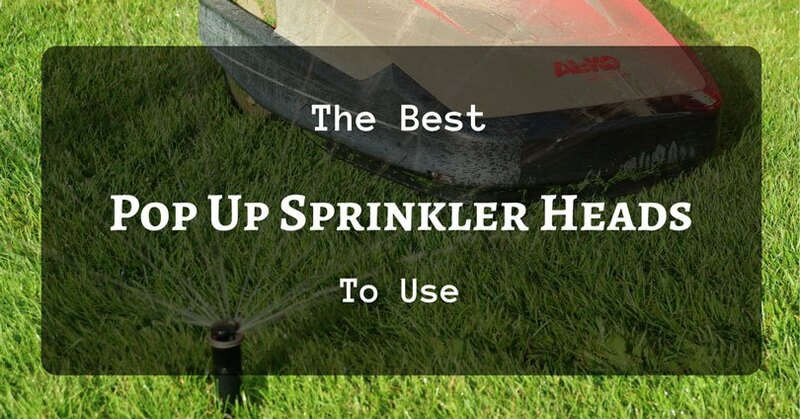 It’s easy to use and easy to adjust, making this a very user-friendly sprinkler head. You can install it on your own. It does a great job in spraying water because of its constant spraying force. It looks cool and sleek, thanks to its modern design. There’s nothing special about this sprinkler head. So which one’s the best? Well, we have to say that it’s going to be the Toro ProStream Rotor Sprinkler System Head. Not only does this look nice and is visually pleasing, but this also works great. Its coverage is good and it does its job the way it should. Though it doesn’t have any advanced features, it’s still a good thing because there’s nothing fancy about it. It does what it’s supposed to do in the best way possible, and that’s what’s important. 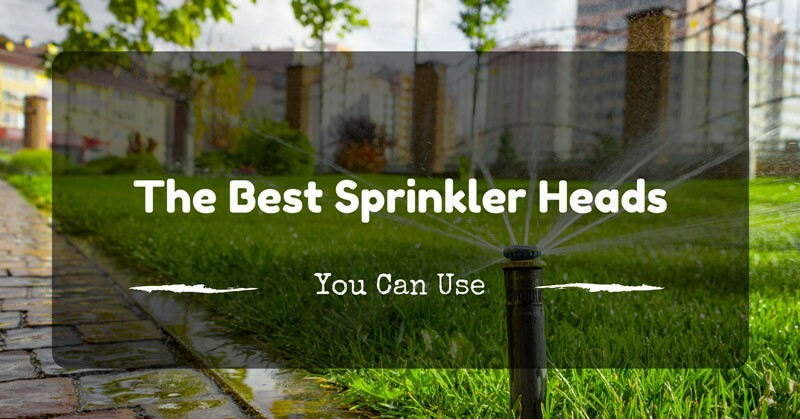 So if you want to get the best sprinkler heads, then better choose this one. You’ll surely not regret it.